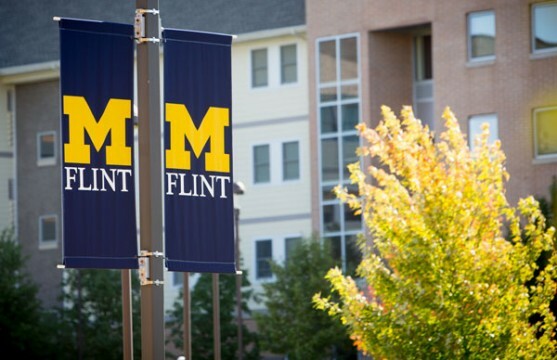 UM-Flint banners in front of First Street Residence Hall. 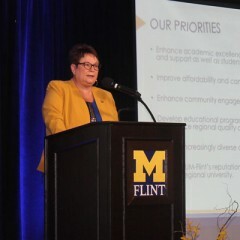 The University of Michigan-Flint is providing a voluntary and anonymous online survey to its students regarding sexual and relationship violence. 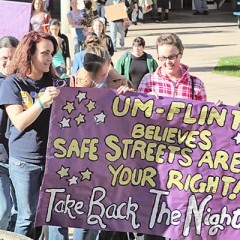 “The main purpose of this survey is to learn more about students’ experiences with sexual and relationship violence in their lives so that we can optimize our efforts to inform students about their options for support, resources, and justice,” said Molly Barnard, a sexual assault prevention and awareness advocate in the university’s Women’s Educational Center (WEC). 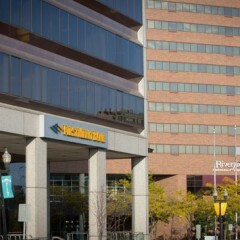 The survey takes about 12-15 minutes to complete, university officials said. Chancellor Susan E. Borrego sent out an e-mail to students recently, inviting them to complete the survey. Various WEC student employees and anti-violence peer educators are providing spaces on campus the next two weeks for students take the survey’s on-site. The survey is available on the WEC homepage. The deadline for completing the survey is February 19. Those who complete the survey can enter to win a prize worth $100. Students can skip any questions that make them feel uncomfortable, organizers said. There are warnings ahead of particularly sensitive questions. “The students can benefit from the survey in many ways,” Barnard said. If you are a registered student, please visit the WEC website now to take the survey.